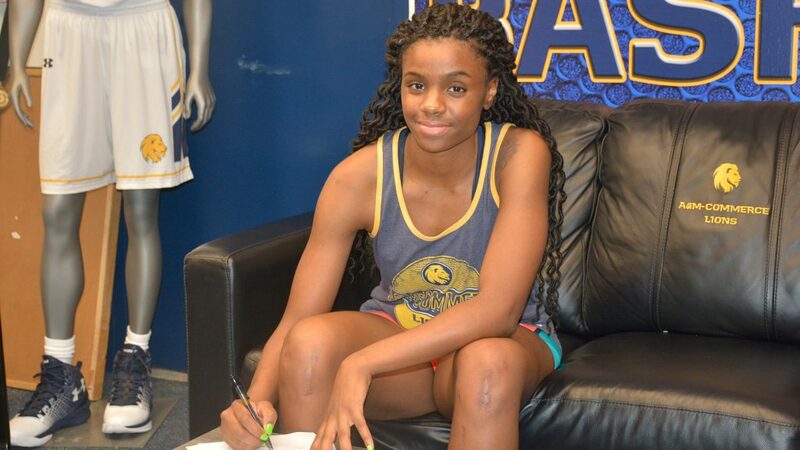 Texas A&M University-Commerce graduate and women’s basketball All-American Brianna Wise has signed with a professional basketball team in Serbia. Wise signed her contract over the weekend and will report to training camp in August, with the season beginning in October. In their three losses since the all-star break, the Rangers have given up 40 runs and 56 hits. This includes last night’s 15-3 drubbing at the hands of the Oakland A’s. It got so bad for Texas that they brought in two position players to pitch during the game: Carlos Tocci and Ryan Rua. Cole Hamels took the loss for Texas as he gave up 7 runs in 5 innings. Hamels is now 5-9 on the season with a 4.72 era. Despite his struggles as of late, there are reports surfacing that the Washington Nationals are in preliminary talks to acquire the left-handed pitcher. Texas and Oakland will play game two tonight on 1490AM and 96.3FM KPLT. Pregame at 6:30. First pitch at 7:05. Arizona Cardinals running back David Johnson is ending a contract holdout that ran through the team’s mandatory minicamp and has reported to training camp. Johnson on Monday tweeted a photo of himself in a Cardinals helmet that included the hashtag #ImBack. A Cardinals media relations member then tweeted that Johnson had arrived at camp, which opened to injured players Monday and begins for the full team Friday. Josh Gordon announced he will not be with the Cleveland Browns when they open training camp Thursday, citing his “health and treatment plan” as part of his return from multiple substance-related suspensions. Gordon is seeking additional counseling before camp opens to deal with his mental health and anxiety. The wide receiver has said that he typically used alcohol or marijuana when he was anxious, something he cannot do without another violation of the NFL’s substance abuse policy. New York Mets minor leaguer Tim Tebow has a broken hamate bone in his right hand and is likely out for the remainder of the season, an MLB source told ESPN’s Adam Schefter. The Binghamton outfielder sustained the injury in Friday night’s game against Eastern League opponent Trenton. Binghamton is the Mets’ Double-A affiliate. He was placed on the disabled list Saturday. Tebow is scheduled to undergo surgery Tuesday. — Ryan Lochte posted a photo for the world to see, and the U.S. Anti-Doping Agency noticed. It got him suspended — again. The longtime U.S. swimming star has been banned from competition until July 2019, which means the 12-time Olympic medalist cannot compete as planned in the national championships that start this week in California. Lochte will also be ineligible for other top meets, including the Pan Pacific Championships later this year and next year’s world championships. The New England Patriots are shopping a trade of third-year receiver Malcolm Mitchell as he attempts to come back from a knee injury that sidelined him all of last season, putting his future with the team in doubt, league sources confirmed Monday.